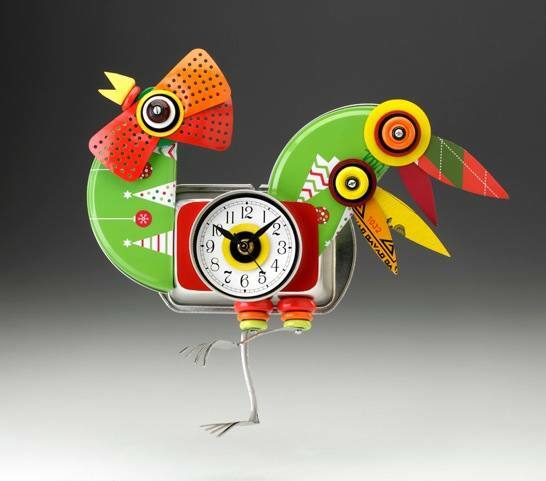 Mark makes mixed media clocks that are sold all over the United States. Most of the components are found at tag sales and flea markets. In the endless stream of metal containers and jar lids lie a wonderful array of colors, textures and forms. In addition to the clocks Mark creates larger robots from found and repurposed materials. All of the pieces are unique and engaging characters with their own identity and style.